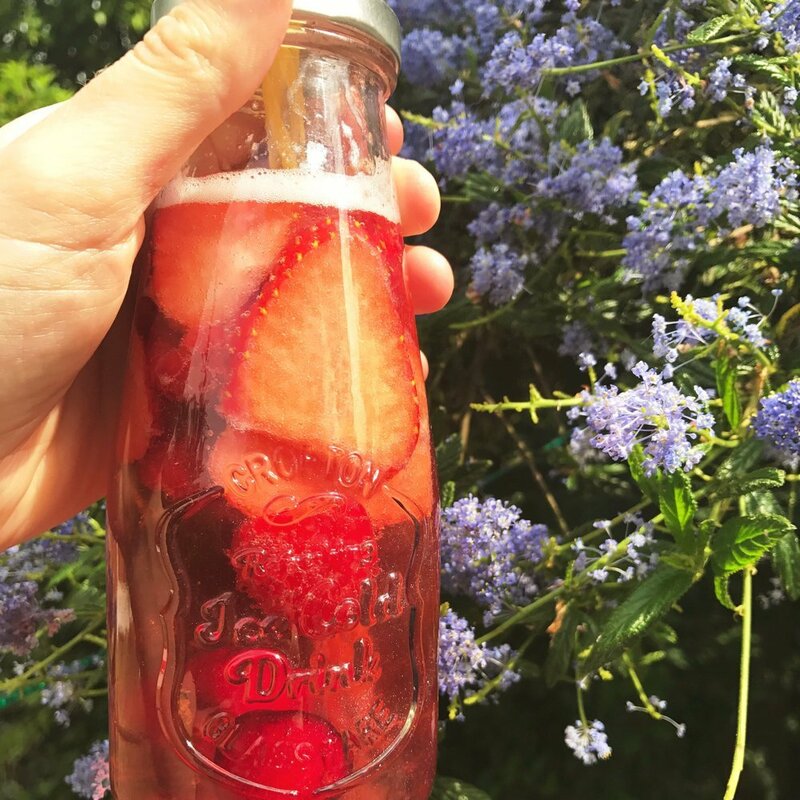 Our delicious fairy potion – summer fruit fizz is perfect for serving at any fairy or magical themed party. Packed with fresh summer fruit, fizzy lemonade and just a sprinkling of edible glitter these drinks are pretty and taste delicious. The edible glitter gives the drinks a shiny pearlescent look, perfect for magic drinks. 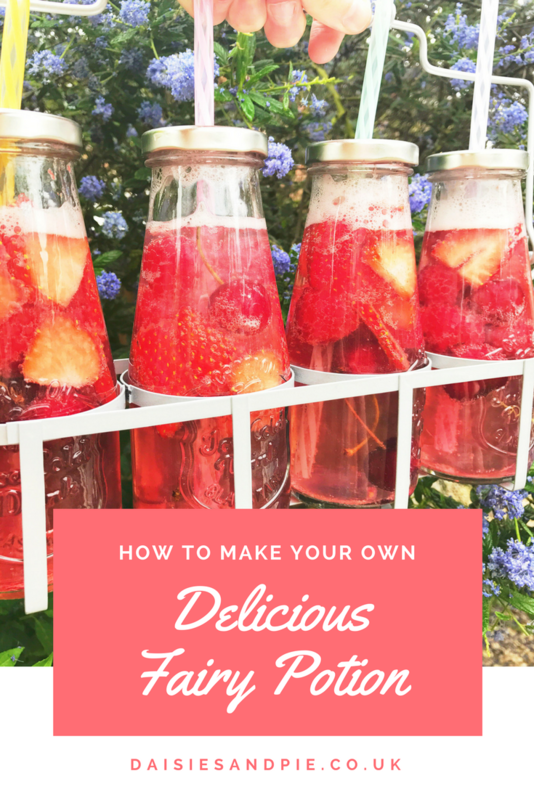 Divide the fruit between the bottles, add a drop of red berry cordial, top up with lemonade, add a sprinkling of edible glitter to each bottle. Screw on the lids and add a straw to each bottle. Go for a green version – use kiwi, lime and lemons to fill the bottles, add a drop of lime cordial and top up with lemonade. 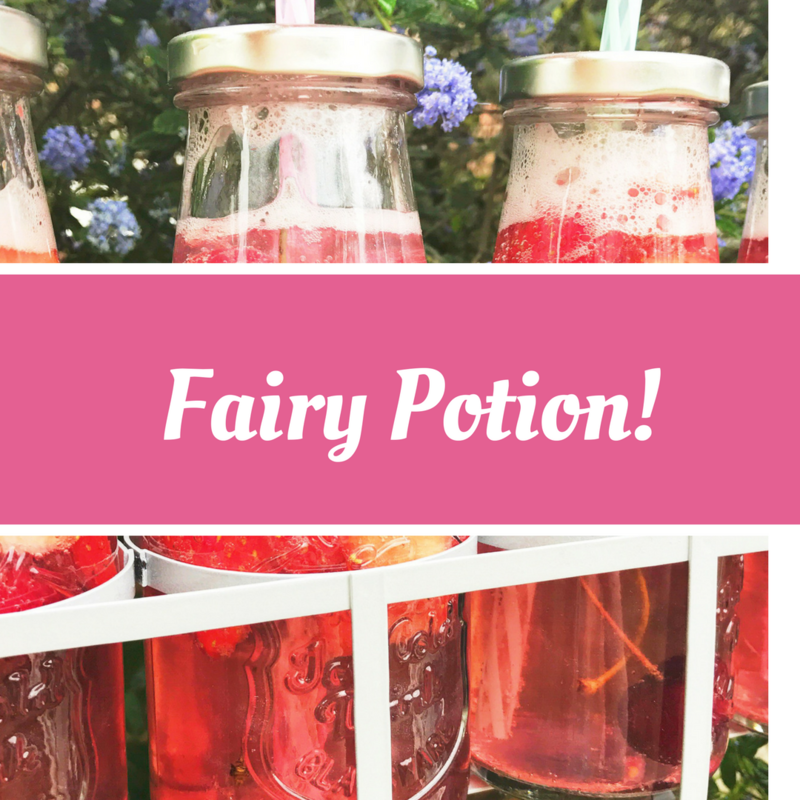 Perfect drink for girly afternoons, fairy parties or unicorn and magic themed events.